I was an enthusiast and got solar panels on my roof while there was still a tax credit for doing so. But then i became lazy and didn’t want to bother selling the SRECs I was awarded. Here is what I did. I got a recommendation from a friend who found a legitimate company who will buy my SRECs with a process so simple no registration is required! And, their prices seem competitive. 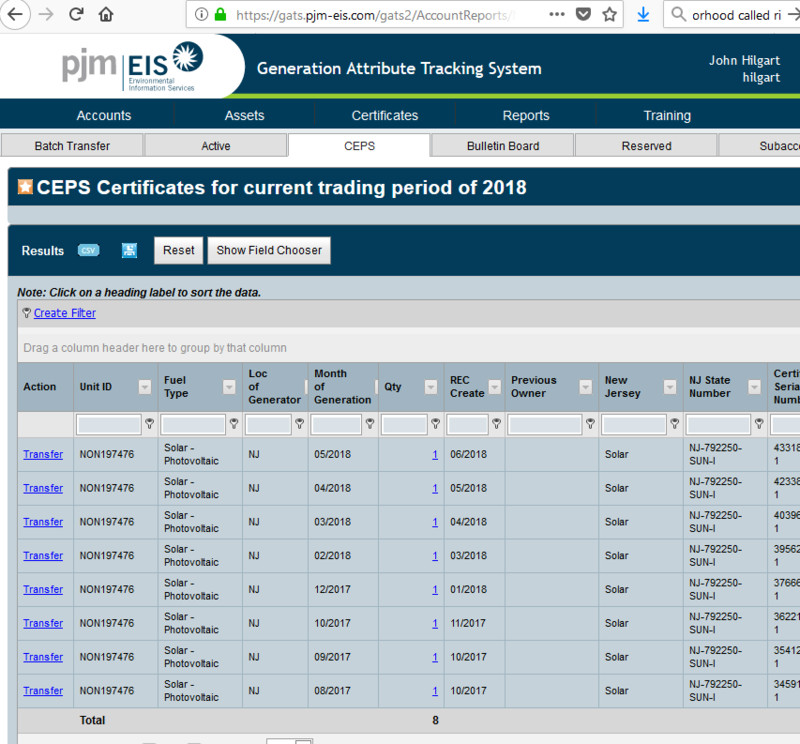 Here are the CEPS I’ve accumulated on the PJM-EIS web site. And no, I don’t really know how to use the site other than to report my generation. I just wasn’t that interested. CEPS is a synonym for SRECs. SREC is a solar renewable energy credit. It’s a unit of measure = 1 Kilowatt Hour of generation by your system. I haven’t sold them yet because I will have another one by tomorrow so I’ll wait for that one and bundle them all together. They get credited to your account on the last day of the month. My friend uses them however so I know they are to be trusted. They will simple send you a check in the mail for your CEPS after you follow those simple instructions! 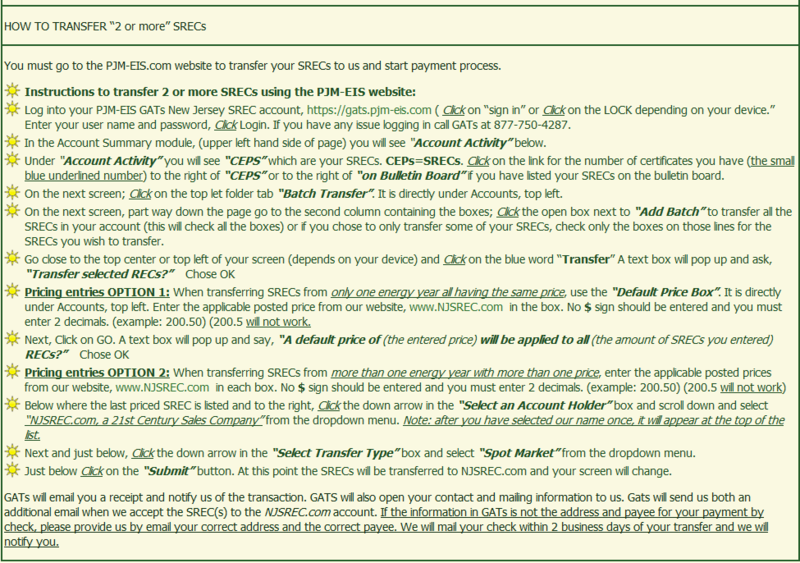 We recommend NJSREC.COM as the simplest way to sell your SRECs and know you are not being taken advantage of. As of this writing July 2018 a quantity of 4 – 10 CEPS is worth $201 per CEPS. The prices have been going down (mostly) and will continue to go down. So don’t hold on too long, i.e., years. This entry was posted in Uncategorized and tagged CEPS, SREC. Bookmark the permalink.